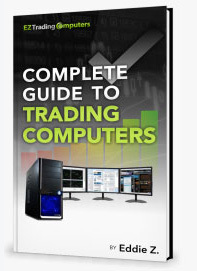 Traders today totally rely on the software and data on their trading computers. Would you be able to operate your trading business if you were suddenly locked out of your trading laptop or desktop? For most traders, the answer is “No”. Scammers and hackers are aware of these vulnerabilities. They know the information traders store on their personal and trading computers has immense operational value. So fraudsters are continuously inventing new ways to take your data hostage. Nowadays, when trading is your business, you need the best hardware and software to support your daily activity. But you also need some key high-end services, such as a great broker and great research providers, to keep your business running smoothly. Unfortunately, scammers are eager to target your trading business with fraudulent services or empty promises of delivery. The unwary can easily fall victim to their various schemes, putting their trading businesses at risk. Here are some online scams that can adversely affect the day-to-day operations of your trading business. More than a third of all online scam attacks involve phishing emails or malicious attachments. As traders, we’re already aware of best practices for protecting our trading and financial data from such attacks. Popular phishing schemes have an element of urgency, such fake invoices and sales receipts for things you didn’t order, or fake fraud alerts. The basic goal of phishers is to get you to click on a link or open an attachment. From there, they take you to a website that asks for your information, or they download malware to your trading computer. If you are in the trading business, I know you already try your best to keep your business and personal information separate. However, from time to time, you might still need to give out your social security number. Before you do, just know that social security scams are rampant. The Social Security Administration (SSA) issued a warning recently citing the rise in SSA impersonation schemes. If you’re like most traders, you’re using social media on your trading computer and mobile devices without giving it a second thought. But today’s social media is fraught with scammers trying to get access to your devices. I’m not suggesting you go cold turkey and stop using social media altogether. But you should be aware of the dangers, so you can avoid being a victim. Here are some common social media scams that can pose a threat to your trading business. When you’re online hours a day, especially when you’re dealing with financial trades every day, it’s super important to stay vigilant about scams. A key part of being vigilant is staying up-to-date on the latest cons. Right now, a lot of those new cons have developed around the cryptocurrency market. In a previous article, we discussed how to guard against fake exchanges, wallets, and Initial Coin Offerings (ICOs). In this article, we dive deeper into other techniques of cryptocurrency scammers. When you’re trading in bitcoin or cryptocurrencies, sooner or later you’re going to come across phishing scams. In most cases, you’ll receive an email that will look like it is from your cryptocurrency exchange or wallet provider. Trader Beware: Can You Spot These Common Bitcoin Scams? Are You Still Falling for These 5 Trading Computer Myths? Have you ever mistaken a myth for the truth? We all have. For example, everyone thinks lightning never strikes the same place twice. That’s a myth. And a dangerous one at that. You’ll never hear the Weather Channel announcer telling you to go stand where lightning has already struck because you’ll be safe there. Being a successful trader and believing in myths don’t go together. And if we’re not careful, we may get caught believing an idea that later turns out to be false. What Can Bluetooth Do for Your Trading Business?